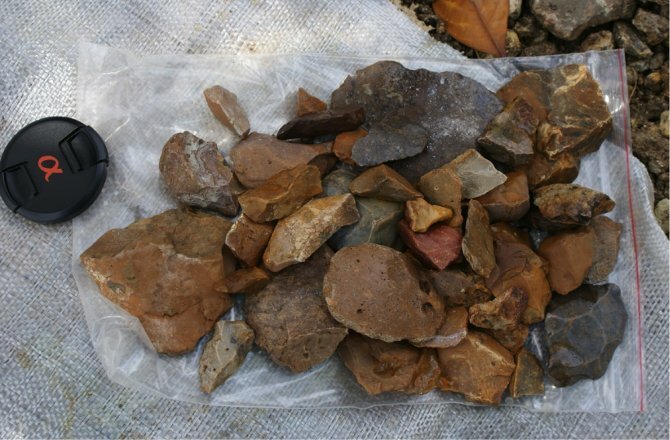 A group of archeologists has presented a rather ‘disturbing’ study about the discovery of a set of stone tools discovered on an Indonesian Island. The existence of these tools requires a completely new approach to history. These stone artifacts were found scattered on a gravelly surface near Talepu. How is it possible that there are stone tools on Earth that predate the arrival of our species? Is it possible that this discovery suggests different types of species inhabited Earth in the distant past? It seems that after all, we have very limited knowledge as to who exactly inhabited our planet before the arrival of our species. As explained by the paper published in the Journal Nature, the stone tools were found on the Sulawesi island and are at least 118,000 years old, a figure that completely contradicts the arrival of modern humans to the region. The discovery has led researchers to suggest an archaic, unknown human species inhabited the Island many millennia before our species arrived there. However, exactly who they were remains a researchers are left perplexed one more time. “That tells us [the undated lower stone artifacts] are probably older than 200,000 years. Scientists were able to find the age of the tools using a complex and sophisticated technique known as MET-pIRIR through mineral grains gathered with the tools. According to reports, few of the artifacts discovered on the island suggest that they were bought into shape with the use of a hammer. The new discovery is just one more finding that clearly indicates mankind has occupied planet Earth much sooner than mainstream scholars are willing to accept. In addition, Dr van den Bergh said that Cave art on Sulawesi shows modern humans lived in Sulawesi around 40,000 years ago. “These modern humans must have encountered these archaic humans and what happened we don’t know yet,” he said.